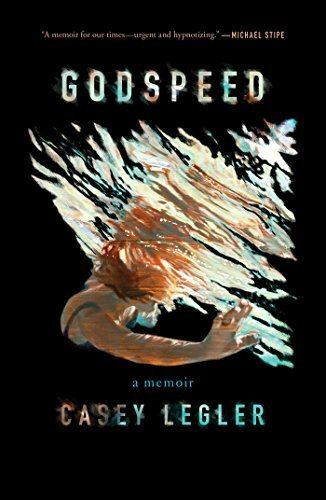 This haunting and electric coming of age memoir charts Casey Legler’s broken childhood—from swimming in the Olympics at eighteen while facing crippling loneliness, to her descent into drug addiction, and a desperate penchant for self-destruction that almost took her life—all while grappling with undiagnosed Autism. As a little girl, Casey Legler scrawls on a piece of paper two phrases that she folds and keeps with her: Never let people know what you are thinking and Loving is not allowed. Desperate for connection, even as a child, she follows her older sister to swim team practice where, upon her first dive into the water, she discovers a powerful, innate athleticism. Her raw talent plunges her into a life of further isolation—a life of cheap hotels and chlorine-stung skin, anonymous sexual encounters and escalating drug use. Even at what should have been a moment of triumph—competing in the 1996 Olympics—she is an outsider looking in, tasked with buying drugs for her fellow Olympians, and losing her race after setting a new world record in practice. After submitting to years of numbing training, Casey recognizes the debilitating sense of apartness that has swelled and festered inside her, and just how deep her darkness has become. Yet, wondrously, she sees a small light within herself, and senses a point of calm within the whirlwind of her life. This memoir, completed prior to Casey’s diagnosis, provides an unforgettable window into the mind of a young person on the Autism spectrum. Written in searing, evocative, and astonishing prose, Casey Legler gives language to loneliness in this startling story of survival, defiance, and of the embers that still burn when everything else in us goes dark.